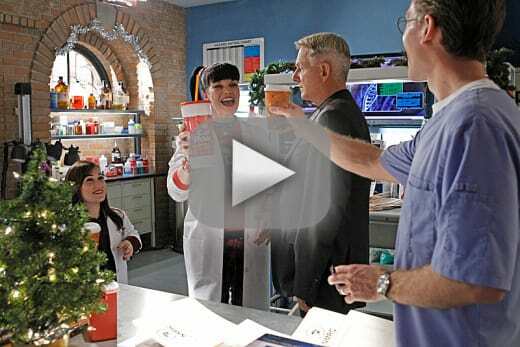 How fitting that, at this time of year, an NCIS episode would be all about faith. On NCIS Season 11 Episode 11, there was little faith to be found at first. Vance didn't trust the motives of his estranged father-in-law. And the parents of the first little girl who was stricken with an unknown illness certainly struggled to keep hope alive, what with Bishop rhyming off a number of possible causes for her condition. And Palmer had no confidence about being a father, particularly as the case wore on, and he struggled with Abby and her friend Carol to identify the virus that seemed to be mutating, affecting a wider and wider number of children. The writers couldn't have provided a better red herring than the creepy guy who wanted to infect his "girlfriend." His explanation was: I figured if I helped her feel better again, she might appreciate me more. Right. Here's a hint; when someone says I'm not a monster, after all - you can be sure that person is the poster child for the word. Good thing this one was mostly impotent, unable to come up with anything resembling a virus. Ducky profiled him perfectly, too: the "girlfriend" either didn't exist, or if she did, she had no idea that Comey (the creepy guy) even existed. As we saw, it was fortunate that this was not a case of bio-terrorism, as Tony feared. It was a treatable bug, brought over from the Congo. Rocky Carroll played to his strength in this episode: he has always done suppressed rage very well. His target this time? His father-in-law Lamar Addison (played so well by Ben Vereen). When Addison showed up on his doorstep - after warning him that the next time he darkened his door, his agents would be taking him elsewhere - I was surprised that he didn't just pop him one then and there. Not overly surprised, though: Vance was always one to maintain his cool, regardless of the provocation. Still, the man feared for his kids, especially after this unwelcome father-in-law came by the house when Vance wasn't home. As much as I like Bishop, it's good to know she has flaws. We saw one big one where: when her emotions are engaged, she finds it nearly impossible to let go. Usually when one makes a social blunder, the custom is to think about it, shudder and then try and forget about it. Not Bishop. She just had to go talk with the parents of that little girl once more to try and bolster their faith that the child would come out of it. That was her self-inflicted penance. The parents gained hope, based upon Bishop's statistics about other horrible illnesses, and then they hugged her. That was my cue to shudder. What if the girl had died, as the old man did? It could easily have happened. How great would her guilt have been then? The hope here is that something similar to this happens again and Bishop does a blunder that can't be fixed. She needs to learn how to roll with misfortune... especially those that are self-inflicted. Now that the Vances have reunited with Jackie's father, the hope here is that we'll get to see Ben Vereen a little more. What a great casting choice! Gibbs and Vance seem to have grown even closer. After Vance turned down Gibbs' first offer to help, and Gibbs persisted, that small smile from Vance said it all, and was good to see. Here's hoping we see more of Abby's friend Carol (played by Meredith Eaton) as well. She's been on the series twice before: once in 2009 and again in 2011. 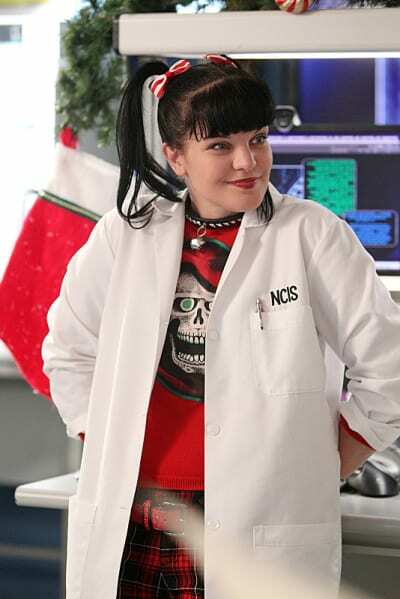 As noted in the NCIS Sneak Peek for this episode, Eaton is Pauley Perrette's real-life friend. Apparently, cinnamon puts a smile on Gibbs' face. Tony knows his boss well - and Bishop picked up on it. The song at the end was Nothing More by The Alternate Routes. The holiday wishes to the military at the end was perfect. 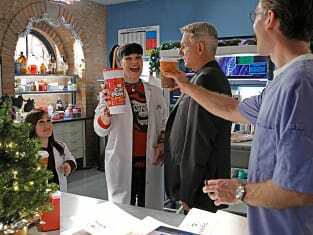 NCIS returns on January 7, 2014 and you can watch NCIS online in the meantime. What did you think of the episode? What are your thoughts about Ducky's profiling of the creep-monster Max Comey? Will Palmer and Breena get approval to adopt? Do you imagine there will be any more friction between Vance and Addison? Would you have appreciated a bite of that delicious coffee cake?